For its 10th edition in Toronto, Made With Love highlighted the talent of the region’s best bartenders! This Monday, 16 audacious barchefs competed to offer the ultimate creation that would amaze the epicurean crowd. These regional finalists, who had been selected in the qualification round held in February, competed for the titles of Public’s Choice and Judge’s Choice in a truly festive and dynamic atmosphere. Who were crowned the winners? For this very special edition in Toronto, Made With Love is proud to announce that Kyle Ferreira, representing Bar Sazerac won the Judge’s Choice award with his Flor de Caña-based cocktail, while Derick Dubblestyne, representing Antler, won the Public’s Choice award with his Woodford Reserve-based cocktail. 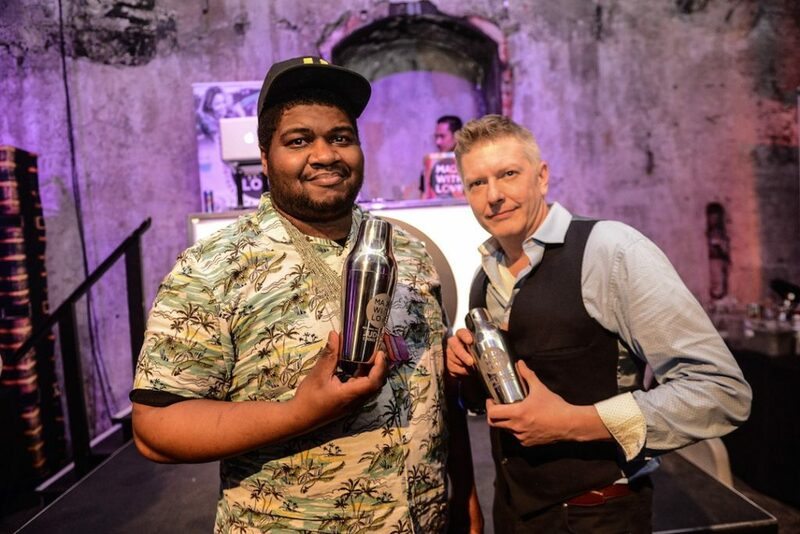 This well-deserved victory will bring these two barchefs to compete against the best Canadian mixologists at the Made With Love finale in May 2019, where both finalists will try to bring home the title of Canada’s best barchef! 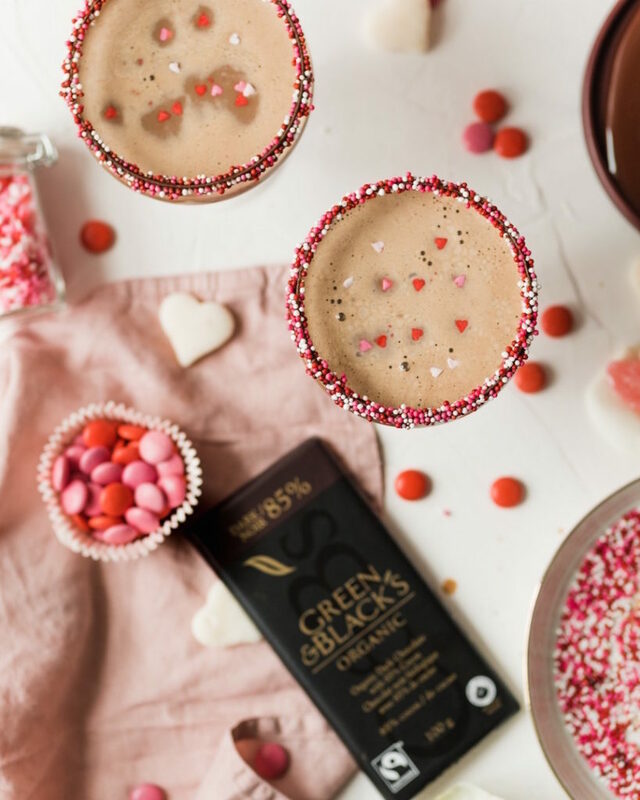 From chocolate cocktails to decadent treats and DIY face masks, Green & Black’s has the ultimate collection of chocolate bars and themed recipes to help make your celebrations the sweetest! We love this recipe by Sabrina Stavenjord featuring Green & Black’s chocolate. It is a perfect cocktail for any occasion or just to sip solo! Sabrina is a self-taught baker; her food and lifestyle blog, My Miaou is based in downtown Toronto. In a small saucepan, heat the milk on medium-high until warm (not boiling). Take off the heat. Break up the chocolate bars into the milk and let sit for 5 minutes. Whisk until all the chocolate bits have mixed into the milk. Let cool. In a shaker filled with ice, add the Irish Cream, coffee liqueur, milk chocolate sauce and espresso. Put the lid on a shake for 5-10 seconds. Strain into a rimmed glass and enjoy! Note: To make this cocktail fun and colourful, Sabrina rimmed the glasses with Valentines sprinkle’s. What: The holiday season is finally upon us and is notoriously known as a time to treat yourself. Orville Redenbacher microwave popcorn is the perfect base for creating fun and festive snacks, when you’re hosting or just as a treat for yourself. 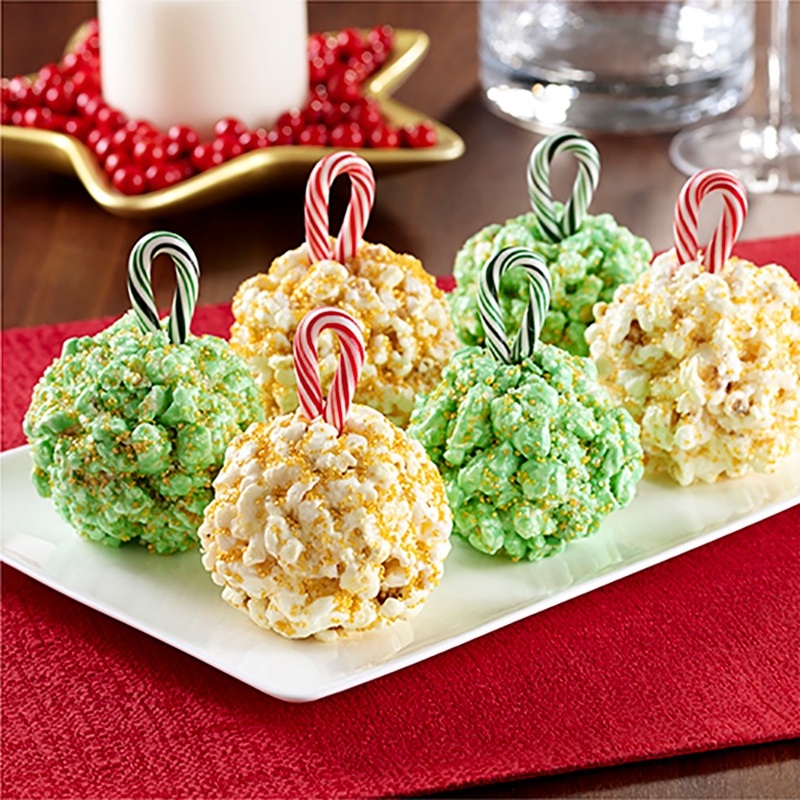 Here’s a holiday recipe made with kernel corn to resemble holiday ornaments when decorated with festive coloured sugar and candy for the ornament tops!! Spray large bowl, rubber spatula and piece of waxed paper with cooking spray; set aside. Pop kernel corn according to package directions. Remove all un-popped kernels and place half of popped corn (about 8 cups/2L) in bowl. Place 2 cups (500 mL) marshmallows and 2 tablespoons (30 mL) butter in microwave-safe bowl; microwave on HIGH 45 seconds or until marshmallows melt and mixture blends when stirred. Stir in food coloring. Pour marshmallow mixture over popped corn in bowl. Toss with greased rubber spatula to coat. Divide mixture and shape into 6 balls. Place on waxed paper. Decorate with coarse sugar and candy canes or gum drops, if desired. Repeat above steps with remaining popped corn, marshmallows and butter to make uncolored popcorn balls. Decorate with sugar and candy, if desired. Bonus: Canadians can also feel good choosing Orville Redenbacher Original Gourmet Popping kernels and Ready-to-Eat popcorn which are 100% whole grain, high in fibre, gluten-free, and made with no artificial colours or flavours. Cost: Orville Redenbacher Simply Salted microwave popcorn is available nationwide at all major grocery retailers, drug stores and discount retailers. 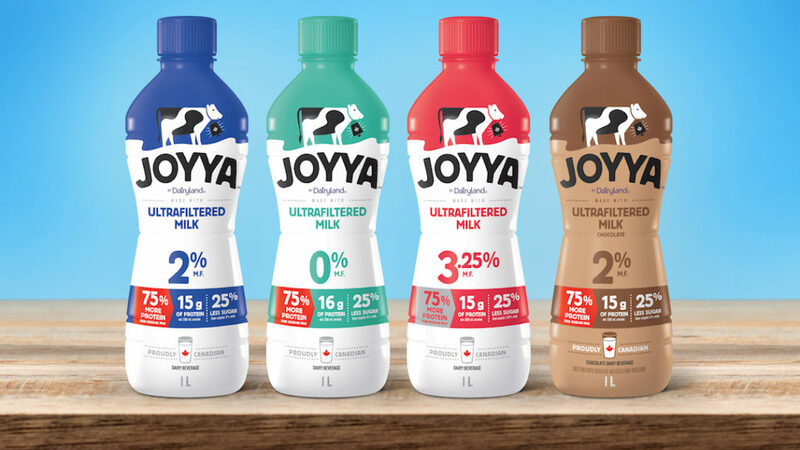 The suggested retail prices are as follows: 3-pack size ($3.49); 4-pack size, mini bags ($3.49); 6-pack size ($4.49); 8-pack size, mini bags ($4.49); 10-pack size ($6.99); 24-pack size ($11.99). For more info and recipe ideas visit www.orville.ca. Share your love of popcorn with other Canadians on social media and follow Orville on Facebook and Instagram @OrvilleCanada. Halo Top Creamery Celebrates its First Seasonal Flavour in Canada! 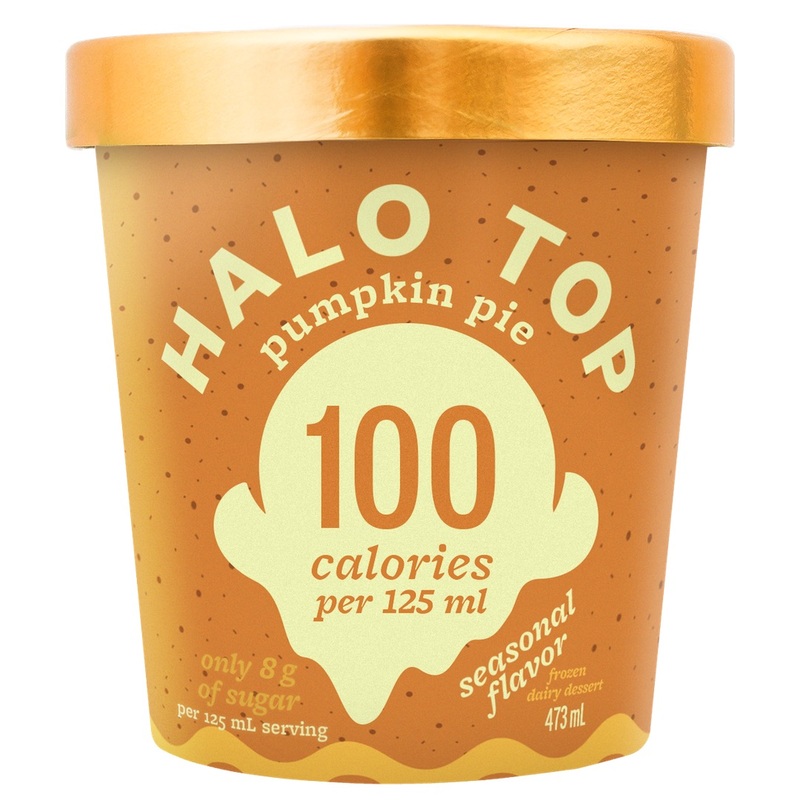 What: Halo Top Creamery is debuting its first ever seasonal flavour, Pumpkin Pie, for Canadian fans to enjoy. The new flavour delivers the perfect pumpkin spice-infused taste complete with pie crust pieces and will be available for a limited time beginning in September to mid-November. About: To celebrate the first day of fall, September 22, the company is offering fans a chance to get their hands on this brand new flavour or any other Halo Top flavours for FREE! Check back here on September 22 at 12:01 am (EDT) to print out a coupon and to redeem a FREE pint (473 ml container). There are 10,000 coupons available for print – so get yours while they last! Bonus: Each serving of Halo Top has 80-100 calories and only 6-8 grams of sugar. You can enjoy this premium treat without any of the guilt. Where: The coupon is only redeemable on September 22 at select stores nationwide. Check the store locator at halotop.ca. Visit halotop.ca or join the conversation at Facebook Instagram and Twitter.